In the patent litigation world, Claims Charts are used to illustrate how a real-world product or service is allegedly infringing a patent claim. Patent infringement must be proven by showing that the product or service infringes each and every element of the asserted claims. When it comes to realizing the value of a patent, analyzing whether the technology is currently used is vital to almost every available patent monetization option. TechPats’ analysts, engineers, and patent attorneys firmly believe that detecting infringement drives IP strategy and that claims-based analysis is a key piece to identifying those potential infringers. The basic principle of determining whether a piece of technology is infringing a patent is to construe the patent claim for scope and meaning and then compare the claim to the accused product to determine infringement. We understand that infringement of a patent claim requires that each and every claim element must be present in the accused product. So, whether it is deciphering the claim or relying on knowledge of the industry, there is simply no substitute to having a person possessing ordinary skill in the art reading the claim and examining potential infringers. Moreover, demonstrating a mapping of a claim to a product or service is an art form. In order to properly convey the alleged infringement, our analysts generate an efficient, aesthetically pleasing, textual and graphical comparison of the claims and the potentially infringing use. Depending on the situation and the depth required, TechPats can assist in demonstrating mappings with an Evidence of Use chart or a litigation-ready Claim Chart. The quintessential piece in demonstrating a potential infringement case is to document the “Evidence of Use” in a chart that maps each claim element to a feature of the observed unpermitted use of the patented technology. TechPats is most helpful to out clients when there many patents in a portfolio and/or multiple, diverse targets for potential infringement. For instance, working with the client and their attorneys, TechPats is able to support licensing strategies and discussions by identifying use cases by a single target allegedly infringing multiple patents in a portfolio and documenting the potential infringement in corresponding EoU charts. TechPats is also able to help patent owners and their counsel by investigating potential infringement of a single patent by multiple players in the industry. TechPats’ expertise in the relevant art makes them more efficient, but our experience recognizing unconventional infringement in related technologies may help clients realize value beyond apparent use cases. Detecting multiple infringers can certainly increase the value of a patent and often necessitates changing the IP strategy of the asset owners. At the EoU stage, most licensing professionals and patent practitioners rely on publicly available documentation such as manuals, designs, press releases, news, and reviews. Collecting, documenting, and properly citing the evidence is a valuable step in demonstrating the potential for infringement. Identifying parts of the alleged infringement that may need to be further tested or reverse engineered is another key part of a good EoU. TechPats traditionally prepares EoUs with significant detail and the goal of using such charts for confidential licensing negotiations and internal strategic planning. Sometimes, in the interest of EoU-creation efficiency, inferences may have to be made for an unverified element, along with a plan developed for actually demonstrating an obfuscated feature. Again, working with client’s counsel, TechPats aims to produce EoUs that convey a potential for infringement and leaves no claim element unmapped. Claim Charts are generally built to guide and drive the impending litigation. While the depth of the investigation and detail of the mapping can vary for any requested claim chart, the demonstrated infringement is intended to be the backbone of a potential patent case. In this case, calling a claim cart “litigation-ready” indicates that there is a high level of support in the patent specification and in the documentation of the targeted use case, but it does not typically mean it’s the streamlined version to be shown to the judge or jury. A “two-column” claim chart focuses on consistently mapping each claim element to a feature of the allegedly infringing product or service along with a citation to where that evidence can be found. A “three-column” claim chart includes element-by-element cited support from the patent’s specification that explains the interpretation of one or more of the claim terms and corroborates the rationale of why the cited evidence actually does demonstrate that claim element. If a Claim Chart has a “gap” in the mapping, the alleged infringement is not truly demonstrated. As documentation and manuals may be limited, reverse engineering and testing may be required to fill in those one or more “gaps.” Until the presence of the element can be demonstrated by RE, testing, or uncovered documentation, the claim chart will have to articulate a rationale for inferring that the element is actually present in the product or service. 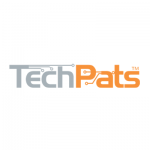 TechPats works with the client and counsel to produce Claim Charts that demonstrate a likely case of infringement and aims to leave no claim element unmapped without a proper plan to complete the mapping.